The next picture shows the lower part of the connecting rod that holds the rod bearing. Note the rod is not drilled for an oil feed hole to the piston pin. 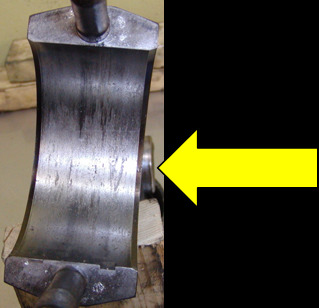 The connecting rod was not up dated at time of overhaul to the recommended drilled rod. The rod bearing failure was caused by lack of proper lubrication.